This wedding cake is made for the show I am entering my other submissions in. 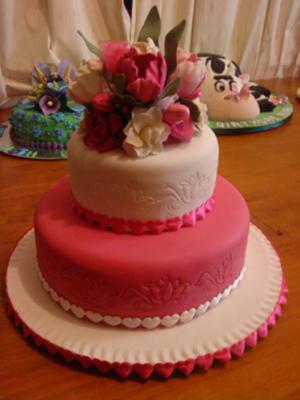 It is actually a dummy cake but the icing and flowers were all made my me. There are pink and white tulips and also pink and white roses as well done in a posy and sat on the cake with Royal icing.